Welcome to Monday Social #27. 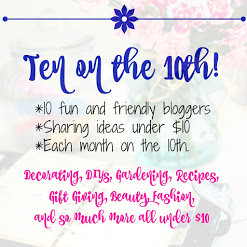 That's right, you do not have to write a blog to participate in Monday Social. 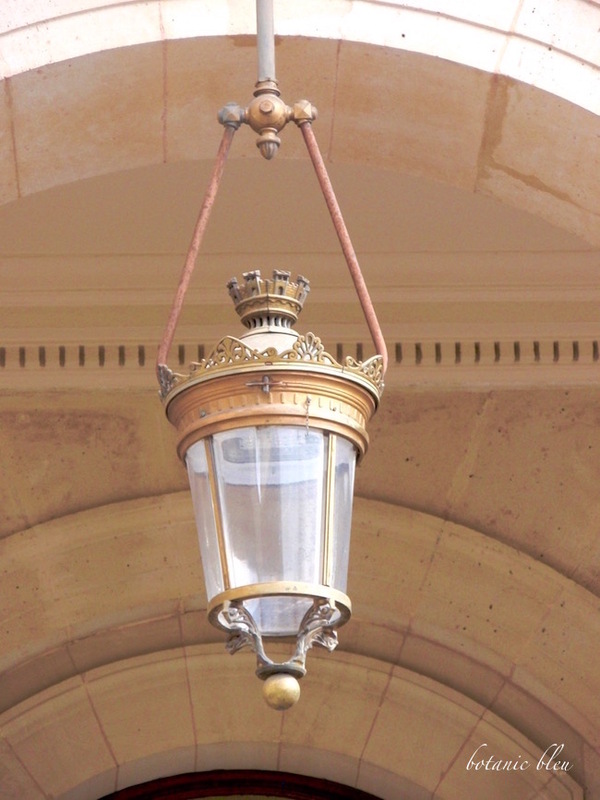 Judith shared her affinity for French lanterns. 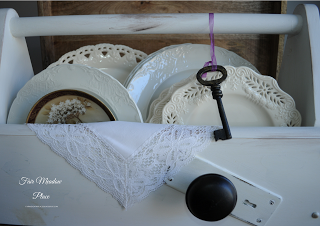 I shared the saga of my brown transferware collection. 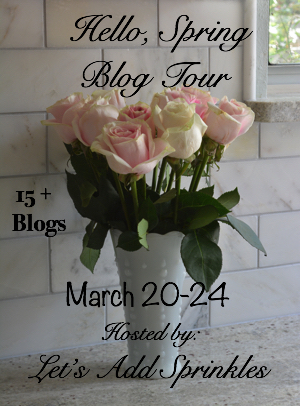 We have all been busy getting ready for a spring blog tour. Please come back tomorrow to see some wonderful blogs. I had a wonderful time visiting your links last week. Let me discuss some of the other social media platforms for a minute. In this day of cross branding, multiple media platforms are essential. I hope that by linking to Monday Social you gain followers to your Instagram, Facebook and Pinterest accounts. Make sure your settings aren't set to private. Just a quick tip for Facebook. Make sure you grab the URL for the specific Facebook post not your general Facebook page. Same is true for Pinterest. Please make sure it is your own photo and not a photo that is copyright protected. Feel free to message one of us if you have questions. 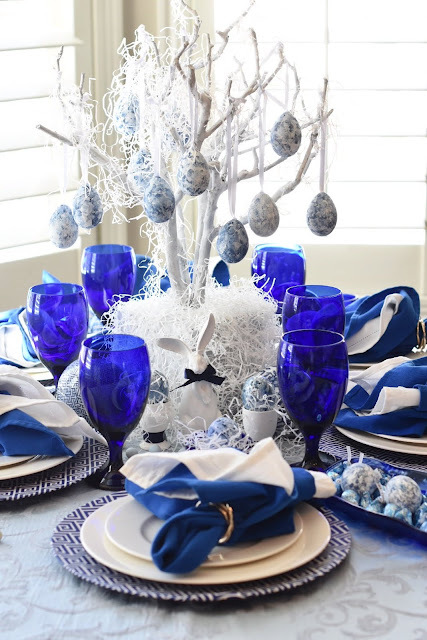 Etched in Colloquy shared her blue and white tablescape with blue and white Easter eggs. I know blue and white fans will love this one. 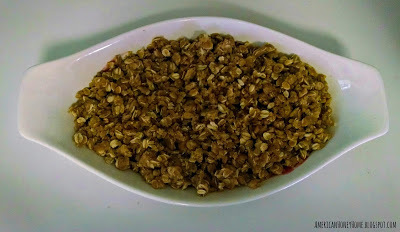 American Honey Home shared this quick and easy cobbler recipe. It looks pretty healthy to me too. Finally, I'd like to introduce a new blog to you. 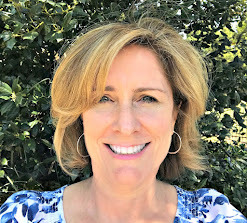 Barbara has been blogging since January. Pop over and follow Fair Meadow Place. Please give her a great blogging community welcome. I love this darling tool box. Keep sharing and tell your friends. Thank you for your support of our party. Thanks os much for hosting each week!! Fun to join along this week! I'm looking forward to some wonderful eye candy!